This article forms part of our guide to corporate simplification and legal entity reduction projects. Links to the other parts of the guide are at the end of this article. Corporate simplification projects often involve one group company transferring assets to another, before the first company is removed. The assets may be tangible or intangible assets, or they may be a debt receivable which is owed by another group company. 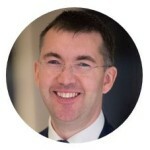 One of the key issues from a UK company law perspective relates to the price at which the transfer takes place – and in particular, whether it the transfer can be made at book value rather than market value. The company which received the benefit of the unlawful return of capital may be liable to return it. The issue only arises on an upwards or sideways transfer of assets (e.g. a transfer by subsidiary to parent, or by one sister company to another). It does not arise on a downwards transfer by a parent to its own subsidiary, because the net position of the parent company should not be affected. 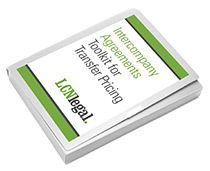 Where the transferor is a UK private limited company, the legality of an upwards or sideways transfer depends on the distributable reserves position of the transferring company, and on its ability to pay its ongoing debts. If the transferor has positive distributable reserves (just £1 would be enough) and can satisfy its creditors, then assets can generally be transferred at book value. This applies even if the market value of the assets is higher. If the transferor has zero or negative reserves, then any upwards or sideways transfer of assets must generally take place at market value (or book value + the amount of the deficit in distributable reserves + £1). Note that additional considerations apply if the transferor is a PLC (whether or not its securities are actually listed on a stock exchange). Of course, assessing the market value of an asset is not an exact science. From a UK company law point of view, it is not necessary for the transferor’s directors to obtain a formal valuation or an auditors’ report. However, it is good practice to record the basis on which the directors have valued the asset. This would often be set out in a board paper or in the relevant minutes or written resolutions of directors, and will prove very helpful if the transaction were to be called into question at a later date.